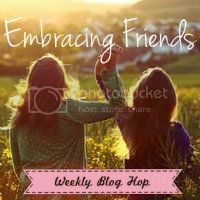 Welcome to the first official Embracing Friends Weekly Blog Hop! I've been linking up to several blog hops each week and thought I'd try my hand at running one! I love meeting new blogger friends, so what better way to do that than a Blog Hop! Today's Feature from last week's blog hop: Shelly's Creations. Hello there! I am Shelly of Shelly’s Creations. First, a big thank you to Kelsey for picking my blog to feature this week! I was so excited when she emailed me. I live in Texas with my husband and 10 year old daughter and two fur babies. My blog is new and I am still getting the hang of making blog posts, but I do hope you enjoy what I have so far. I began scrapbooking in 2009 and it quickly spread to making layouts, cards, mini albums, altered art, mixed media, etc. I began making YouTube videos to feature my work and found a wonderful crafting community on YouTube and on blogs. I had several people ask me about a blog and then I started to see blog link parties but I didn’t have a blog to link people back to so I created Shelly’s Creations. I hope you will come by and see me and also check out my blog as well as my YouTube channel and become a subscriber. 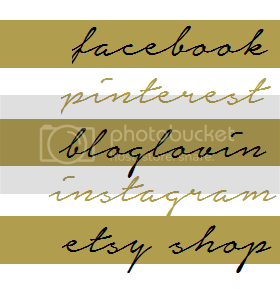 I love finding inspiration on blogs and Pinterest and would love to check out your blog as well. Hope you will come see me! Thanks again Kelsey. 1.Videos! She loves to use videos to show her work, which is super cool! 2. Her light box tutorial! I NEED to do this! 3. She shares DIY and Recipes! What more could a girl want!? PLEASE stop by and visit her. Her blog is super cute! Next week, I'll pick a new blog from this week to feature. Thank you so much Kelsey for featuring my blog! I appreciate it so much and thank you for hosting these blog hops. They are so much fun and I always find new blogs to follow. Have a great day. First time here it is VERY nice to meet you! !